Lace up your hiking boots and pick a bunk because your stay at Camp Crystal Lake is just beginning. 'In Voorhees We Trust With Gourley and Rust,' you’ll learn why Matt and Paul love the Friday the 13th franchise so much, what they expect to learn about themselves in revisiting it, and how they plan to tackle and assess all 12 films of the Voorhees family legacy. Join them on their journey to Crystal Lake, Manhattan, hell, and outer space beyond! It's time for In Voorhees We Trust episode on what will undoubtably, 100% absolutely be the last movie in the Friday the 13th franchise. 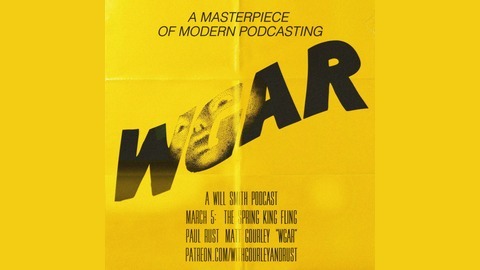 Gourley and Rust planned this to be a 13-part podcast but as you can see by the film's title it is definitively the 'final chapter'. 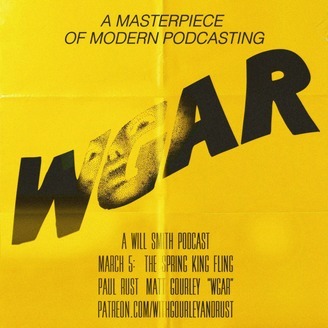 So to make it special, host wives Amanda Lund and Lesly Arfin join Matt and Paul for what is sure the be the last episode in the series because there are no more installments of the Voorhees franchise anywhere on Earth.